Have you heard the news?! Ola Collective is now offering an Underwater Workshop! This is a great hands on activity to learn a little more about underwater photography conveniently located at the Four Seasons Resort Oahu. 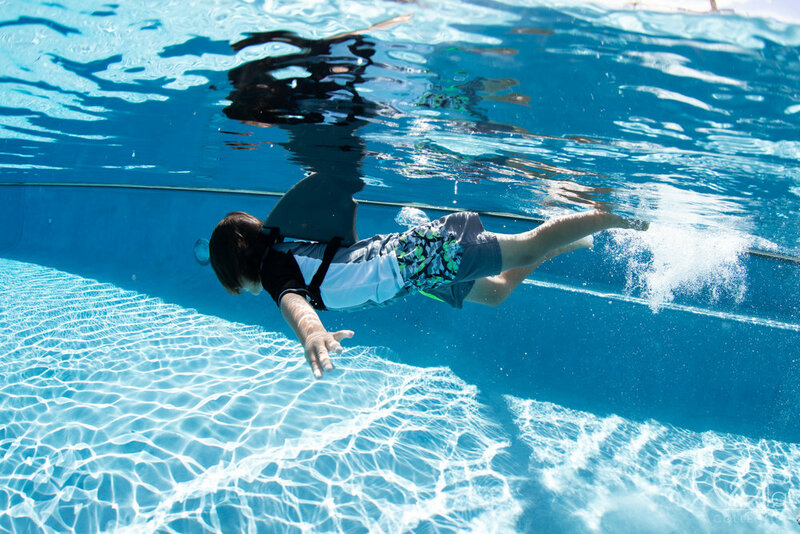 The Underwater Workshop takes place at the Four Seasons Resort Oahu Serenity Pool every Tuesday from 9-11am. You can reserve a 45 minute session with our experienced free diver and professional photographer, Asia. This is especially great for the kiddies! During the 45 minute session, Asia will introduce you to some of the best ways to pose underwater. The workshop also includes the use of a GoPro and Knekt dome so you can capture over-under photos of your own with personalized instruction and assistance from a pro! She will also get a few images of you or you or your little ones having the most fun! We also give the option to incorporate some cute and fun props such as this shark fin and pretty pink mermaid fin! Reserve your session today! It’ll be a memory your kids will never forget!